In this post I will show you how to build a mobile app with AngularJS and Ionic Framework starting from 0 up to the upload to Google Play Store. The Ionic Framework allows the creation of mobile apps using HTML5. These applications are also known as hybrid mobile apps. The approximate time for creating the mobile app is about 25 minutes without including the setup time for the development tools. 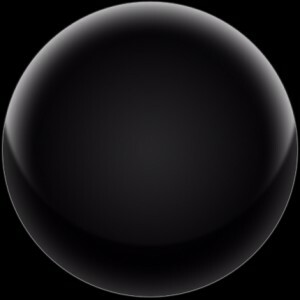 The resulting application will be a Crystal Ball mobile app that “predicts” the future and it will look like this. 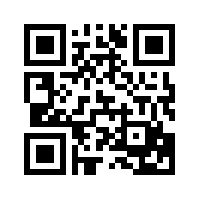 * The source code for this mobile app is totally free to use in any form you want. The name of the application is My Crystal Ball. Let’s define what the application will do. 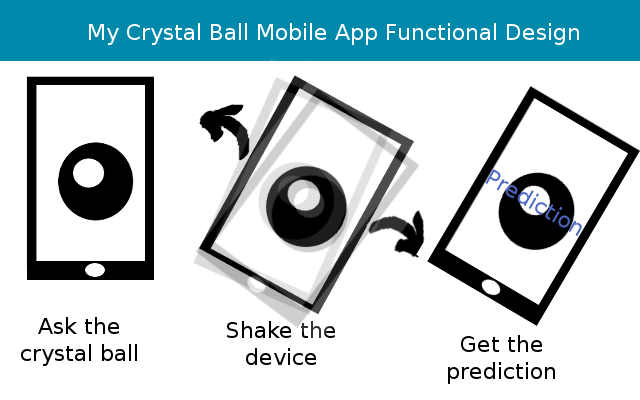 The usage scenario for the application is like this: the user will see an clear crystal ball, will ask a question and then shake the device. When the device is shaken it will present an answer to the question of the user and change the image of the crystal ball to a crystal ball filled with light. So, we will need to develop a one screen mobile application, that displays images, displays a text and responds to device motion. Though Ionic allows building the mobile apps for multiple platforms, we will only focus in this post on the Android platform. Installing the Android SDK for mobile development is a bit trickier, so I recommend going over this very detailed guide from Apache Cordova. You can also take a look at this post about hybrid mobile application development to understand how everything works together. The www folder is where we will code our application. The main file for the application is index.html. The first command changes the current folder to the project folder and the second will generate all the necessary components and the project for building the android app. This will run the mobile app in the local browser. Since we have not implemented anything it will simply show a single view app with a blank page and a title bar. Let’s begin by doing some changes in the code. First, let’s change the name of the main application module in the www/js/app.js from starter to myCrystalBallApp. Also, in www/index.html we should change the ng-app attribute of the body element from starter to myCrystalBallApp. I must give a big thank you to PSDDude here for the images of the crystal balls which are free to use as long as you give credit. 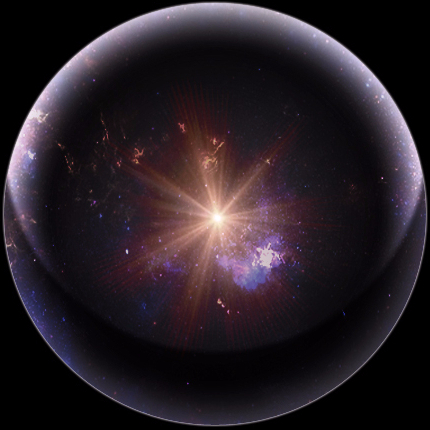 We want the lit crystal ball to be hidden until the app gives the prediction for the future. We also want to have some smooth transitions between showing and hiding one or the other image. How do you center an image vertically and horizontally in a div? Also, please notice that we have added a few CSS attributes for a smooth fade in / fade out transition via the opacity attribute. 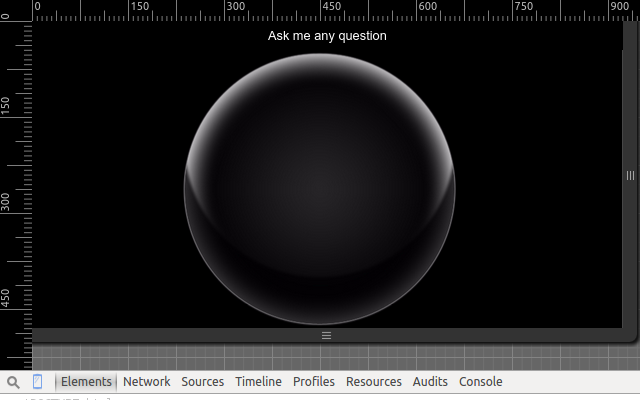 Now that we have our empty crystal ball placed in the centered, and the lit crystal ball prepared for fading in, we need a placeholder for displaying the answer to the user’s question. We have implemented the view for our application, we have made the binding between the view and the controller, all that is left is to implement the controller. We also need to make some changes in the www/index.html file. We have to bind the answer variable to the HTML content of the div.answer element by using the AngulrJS ng-bind-html directive. We also have to configure whether to show or hide the answer and the lit crystal ball based on the showAnswerVar variable. For testing purposes in this stage we will trigger the display of an answer by clicking (or tapping) on the crystal ball. This is achieved by using the AngularJS ng-click directive. For changing a bit the look and feel we will change the fonts used for the title bar and for the answer. Searching through Google Web Fonts I decided to use a web font that looks like handwriting called “rocksalt”. I could include it from the online source, but that means that the mobile device should be online all the time which is not really ideal; therefore I have downloaded the webfont kit from here http://www.fontsquirrel.com/fonts/rock-salt – the font is under Apache 2.0 license so we are good. 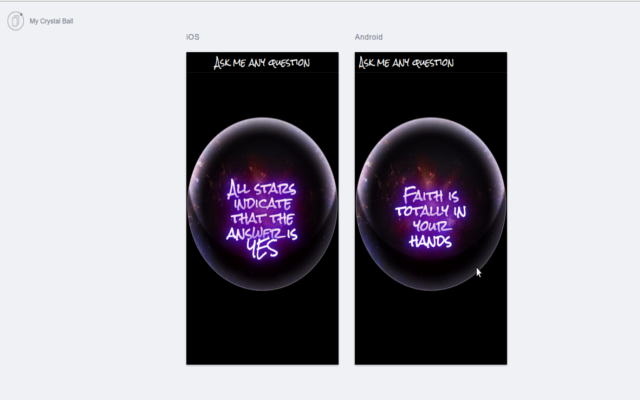 Right now we made the application display an answer to the user’s question upon clicking (or tapping) on the crystal ball. Let’s see how we can make it such that when the user shakes the mobile device the answer will be displayed on the screen. Most mobile devices (smartphones, tablets, etc) have a built in accelerometer. An accelerometer is a small chip that measures 2 axis or 3 axis acceleration. What are Ionic (Cordova) plugins? You can check out this link for a list of official Cordova plugins. 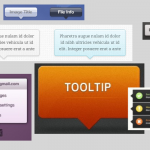 Besides the official list, the community is creating tons of plugins for any conceivable task. The nice thing about the Ionic and Cordova projects is that they are open source. Further more, they encourage plugin developers to also keep the plugins open source. This plugin will install in the background another plugin on which it depends: the official Cordova device motion plugin. One thing to note is that plugins that use various device hardware can only access that hardware when the device is ready. Therefore we are using Ionic to register for the ready event that is triggered when the device is ready. We also have to use the $apply function just like before to get back in the life-cycle of the application managed by AngularJS. And we are done, the application now reacts to shaking the device by showing the answer text. Ionic will build the app, deploy it on the device and run it. Now if you run the application you will notice that the name is My Crystal Ball, but the application icon and splash screen are still the default ones from Ionic. Let’s change that. Icons and splash screen have to be different for each type of device resolution. Also they are different for Android and iOS. It can be quite a challenge to create them by hand. Fortunately Ionic offers a tool for automatically creating an icon and a splash screen. and Ionic will create all the versions of the icon and splash screen for all resolutions and devices. If you want you can read more about Ionic icon and splash screen generation. One final look and feel detail that we can change is to make the application full screen. 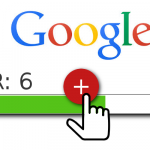 When running the application on the device you will notice that we have a top status bar where we see things like the signal strength, battery level and current time. The application would look much nicer if that status bar is not visible. Notice that we added the plugin using its identifier. We can do that because it’s an official plugin from Cordova’s repository. You can see more details about this in this article about mobile application development and specifically about publishing to the Google Play Store. The article covers all the steps you need to publish your app. To use just ask a Yes/No question and shake to phone to get the prediction. 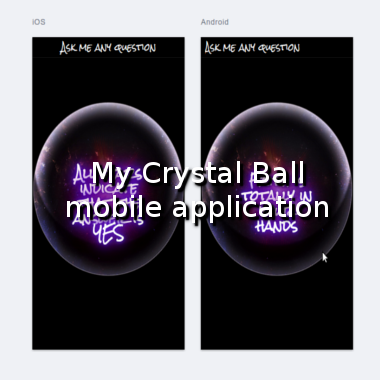 MyCrystalBall is a hybrid mobile application developped using AngularJS and the Ionic Framework. It’s an application developed for demonstrating how to build a mobile application from 0 using the 2 frameworks. Again, here is the GIT repository for the My Crystal Ball mobile application source code. Please share this article if you found it useful and don’t hesitate to send me questions and remarks. Also, if you are looking to learn Ionic programming using step by step tutorials for creating application I recomment the tutorial Creating mobile app for buying public transport tickets via SMS. I just started to learn how to make a mobile app and I found this tutorial quite useful. I followed the tutorial but when I execute ionic run android it installs the app correctly but it do not recognize / react when I shake the phone. I have been looking but nothing helped me. Do you have any idea where to look or what to check in order to know why it is not working?